Every month we are excited to create a list of people, businesses, apps, podcasts, and other crush-worthy things we’ve come across over the weeks and want to share with you all! These people and businesses are out there living their VERB, and that is exactly what we love to see! This month’s crushlist is all about women being bosses, whether it be through their podcasts or doing our planet good in stylish leggings. This bold podcast features women "leaning outside the white-collar norms of the business industry." Episodes span over different topics, from "Master Google Search and SEO" to "Growing a Brewery." The discussion topics are endless, but they all relate to the entrepreneur lifestyle featuring successful female business owners around the world. 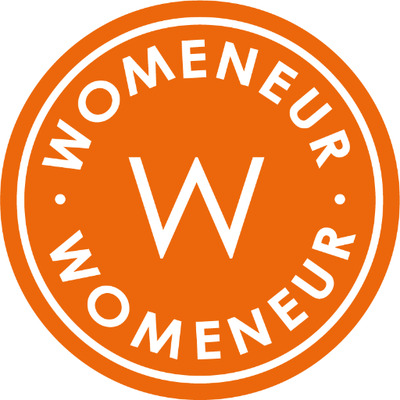 “Where Badass Female Entrepreneurs Come to Get Their Complete Business Sh*t Together.” Sharon Beason is the founder of Womeneur, an organization that provides tools, resources, advice, events and motivation to help propel the growth of female entrepreneurs. The site is full of helpful links and posts to connect, enlighten & empower startups, business owners, and entrepreneurs. Not only is Kate Fagan an ESPN soccer reporter with an important voice for women and the LGBTQ community in the sports media, but she, along with her partner Kathryn Budig, hosts a podcast titled Free Cookies. The couple's podcast blends wellness, food, pop culture, sassy banter, and their relationship. Their podcast is humorous, yet filled with thoughtful conversations and delicious takeaways. It has been reported that Fagan will be leaving ESPN, but we are so excited to see where she will bring her voice next! Girlfriend Legging's latest campaign is aimed towards helping out Mother Nature. The brand is currently offering discounts if customers take a picture doing something good for the earth while wearing their leggings. Their leggings are also made of recycled water bottles, twenty five recycled water bottles to be exact, in each legging. So not only are Girlfriend Collective leggings flattering, but they are also good for Mother Nature. With so many National Parks suffering from the shutdown, this campaign can be aimed towards cleaning up our parks, or even our own block.